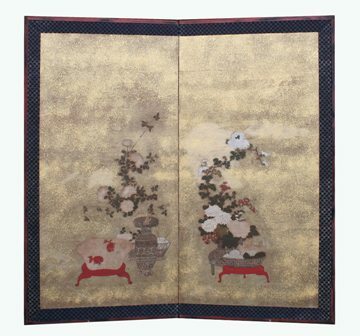 A very rare, fine Japanese antique two-panel folding screen, Edo period, 18th century. 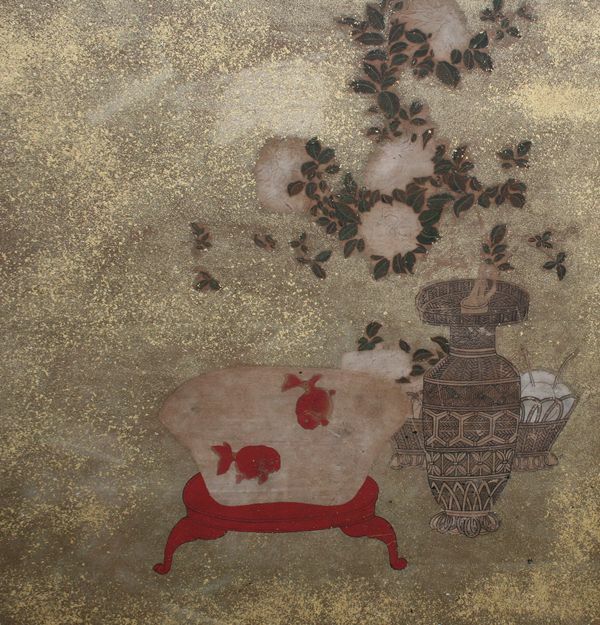 It depicts goldfish in a glass bowl along with chrysanthemum and peony flowers. The other panel finely depicts seasonal food and fruit in a woven basket. 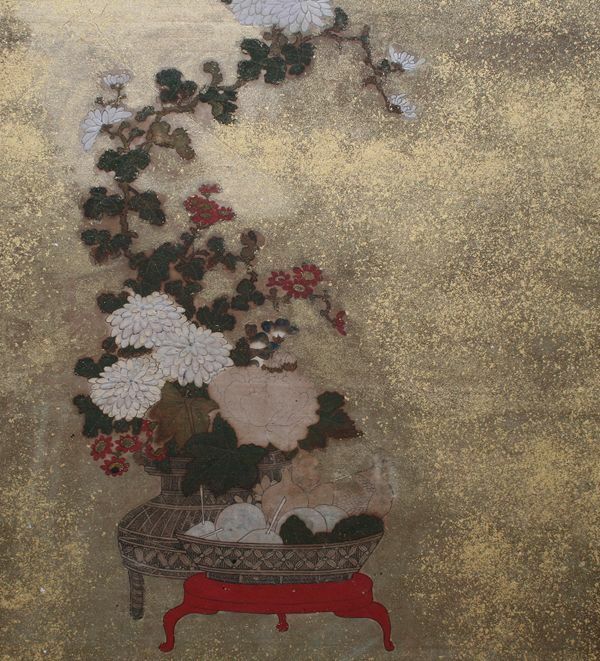 Painted with ink, colour and sunago (powdered gold leaf) on paper. 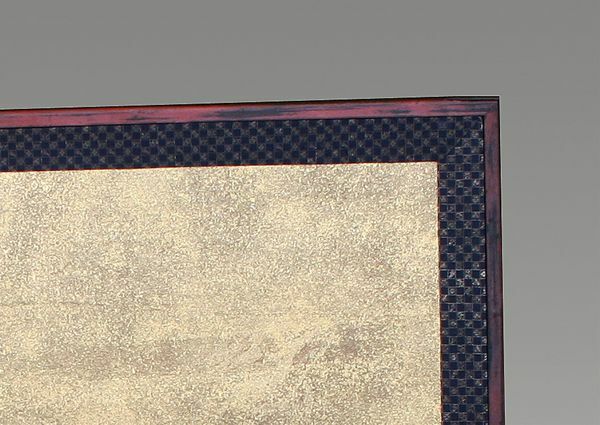 The panel frame is decorated with old negoro lacquerware. This piece is unsigned. 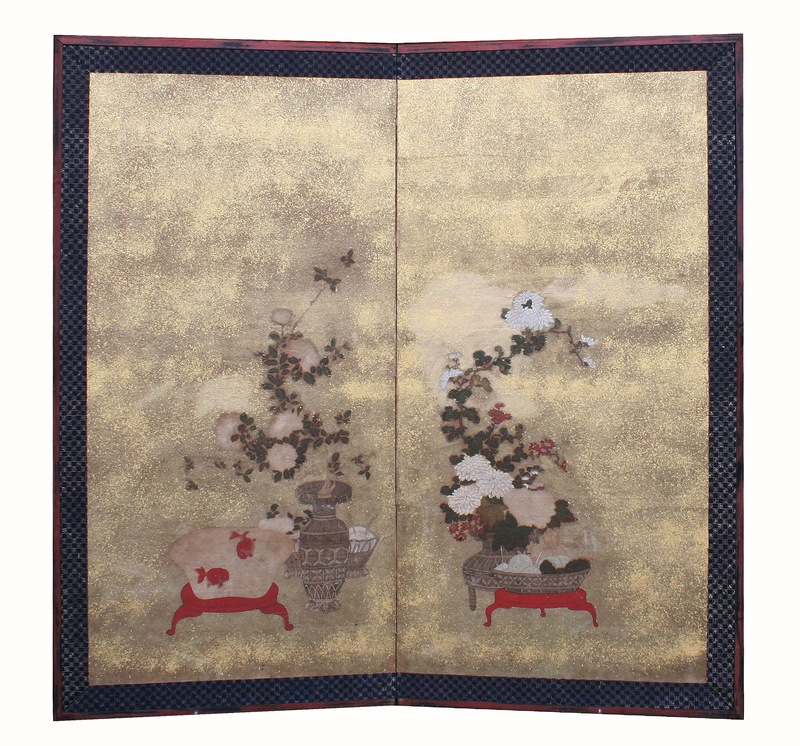 Goldfish was extremely luxury item until mid Edo period, late 17th century in Japan. During this time, viewing fish was only from the above and not the side. After the manufacturing process of colorless glass called“vidro” introduced to Japan from the Netherland, Japan started manufacturing transparent glass in the late 17th century. It was at this time that people in Japan started enjoy looking at fish from the side. otherwise no stain or damage. The frame is in good condition with slight worn associated with age.